Vintage bottle found at the Dump over 40 years ago! 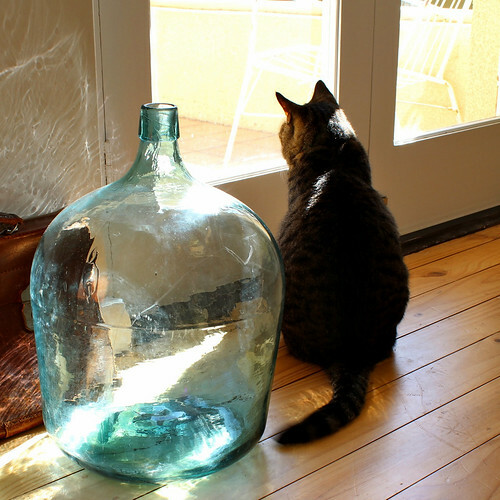 My new Blue Demijohn. Hestor the Cat likes it too! 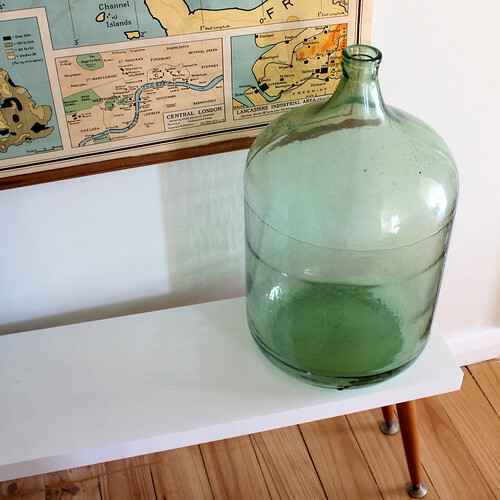 Then during one of my recent visits to Three Card Trick I spotted this stunning Demijohn Blue number and had to have it. My purchase decision was mainly inspired by my Mum. Not that I really need a big bottle, but Mum has always been a bottle collector and so maybe, just maybe I am taking over from her? From the Angaston Hospital 40 years ago. When I phoned her to let her know about my bottle find, we started talking about glass in general and how amazing it is and how it can be sterilized and reused over and over. 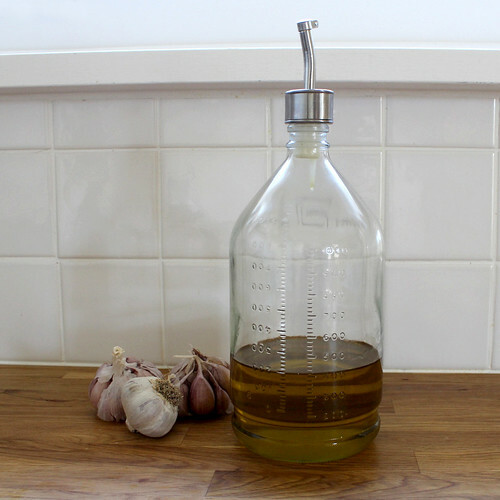 It made me think of a bottle that I found in storage that I had saved from Mum's original collection, and told her how I am now using it to store my olive oil. I asked her if she remembered this bottle with the embossed measurements running in both directions on the side - so they can be read if the bottle is hanging upside down. She told me the bottle was given to her full of baby formula when she left the Angaston hospital after giving birth to me!!! How amazing is that...! And now it sits on my kitchen bench and I use it everyday. Not quite a "message in a bottle", but a pretty good story and I treasure this bottle even more now! Beautiful stories, the baby bottle is wonderful! Really enjoyed reading & seeing photos of your reno in Inside Out. I also like the stories about the bottles - I'm a big fan of glass. I'll check back again to see more photos when you finish your renovation. Great job!